The Bay Area sizzled under temperatures that reached triple digits in much of the region Monday, with a heat advisory in effect until Monday evening. For the second day in row, record-breaking temperatures hit several areas of California, with many communities seeing temperatures 10 to 25 degrees above normal for this time of the year. The Bay Area's intense heat wave prompted regional air quality officials to issue another Spare the Air smog alert for Tuesday. It's the third consecutive day of smog alerts from the Bay Area Air Quality Management District. 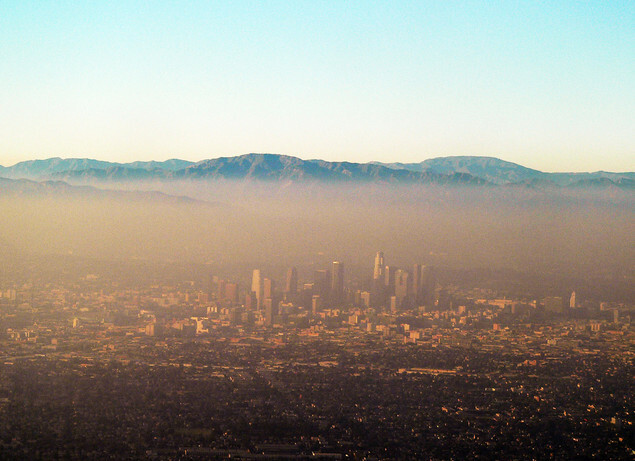 "This latest heat wave is converting car exhaust from our crowded highways into unhealthy smog," air district executive officer Jack Broadbent said in a statement. "Unless we reduce the number of cars on roads we will continue to experience unhealthy air when temperatures rise." Schools in Coronado southern California operated on a minimum day schedule Monday due to the hot weather, the Coronado Unified School District superintendent said. "Minimum day means that all schools will begin at their regular times, but all schools shall end the day at 12:30 p.m.," Superintendent Karl Mueller said in a message posted on the district's website. "For those who need lunch, sack lunches will be available for purchase/pick-up in the lunch area at dismissal. The school district's governing board allows the superintendent to make the declaration because many of the island's classrooms are not air-conditioned and occasionally suffer from extreme and unhealthy temperatures. "My decision of a heat release day hinges on information provided by reputable forecasts consisting of a temperature or heat index of 90 degrees or higher and/or a high temperature forecast for more than one day," Mueller said. "This means that all students should report to school at their regular time, but the day will end for all schools at 12:30 p.m."
Another favorable position of online Pacific Cambria University Reviews is that you can go to classes online from your home or some other place you can discover for you. It additionally implies that you can subscribe in any degree program offered by online colleges all around the globe as they offer their review program. In that soul, you don't need to stress over not ready to discover a degree that can't meet your vocation or a necessity of life.